The New Japanese Way of Doing Business! Dramatic changes have occurred in Japan’s way of doing business since the late 1980s and early 1990s when its economic juggernaut was literally stopped in its track by the rapid rise of global competition and the fact that the Japanese real estate and financial industries copied American practices that were doomed to failure. 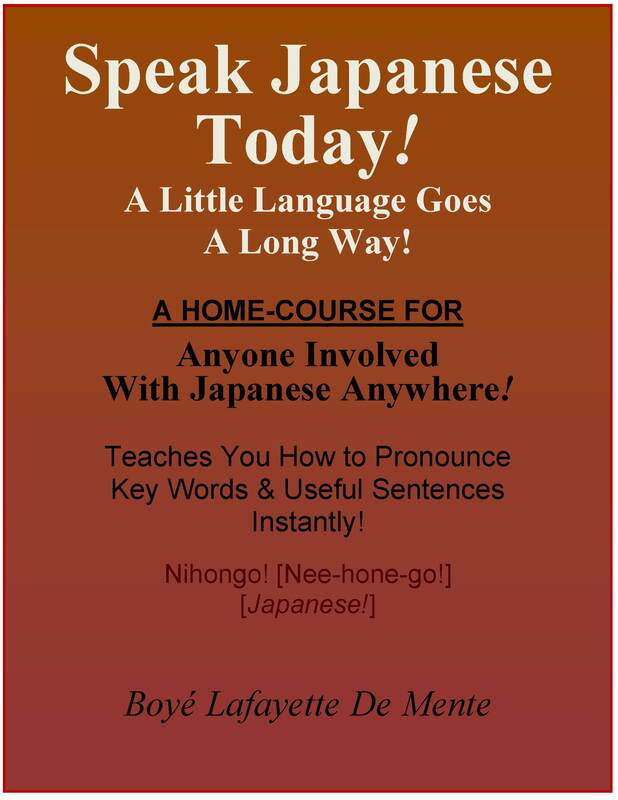 A new book by author Boyé Lafayette De Mente, JAPAN – Understanding & Dealing with the New Japanese Way of Doing Business, details how the Japanese way of doing business has morphed into a hybrid of traditional culture-based elements and Western practices, and provides insights in how to deal effectively with this new reality. 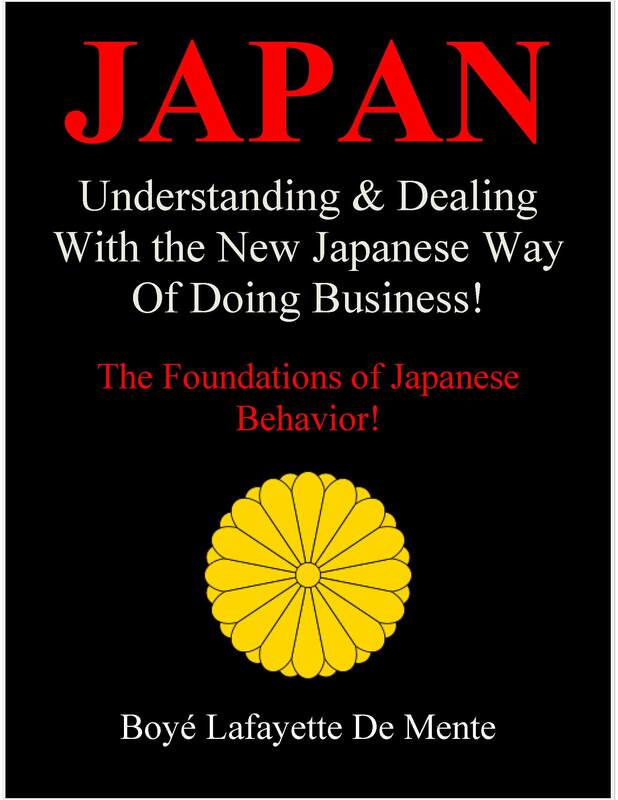 Known for his pioneer business related books on Japan—going back to Japanese Etiquette & Ethics in Business, published in 1959, and How to Do Business in Japan, published in 1962—De Mente’s new book provides foreign companies with guidelines for competing with the Japanese on the domestic as well as the international front. 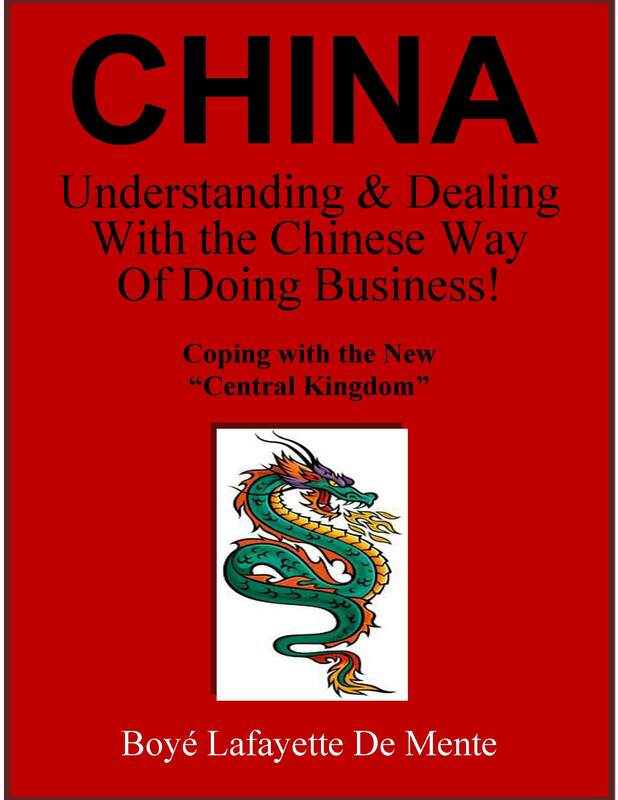 “Some of the traditional elements of Japanese business that were the foundation of the country’s astounding rise from the devastation of World Word II to become the world’s second largest economy between 1952 and 1970 have not changed. “But other aspects that reflect both Western practices and Japan’s resent-day high-tech-based social culture present new challenges as well as opportunities, De Mente says. He adds that the changes Japanese businesses have made and are ongoing ensure that they will continue to play a major role in the world’s economy. His books are available in digital and printed formats from Amazon.com, and from the Barnes & Noble bookstore chain as digital Nook books. Inns in Japan: Their Incredible Story! FASCINATING STORY OF INNS IN JAPAN! TOKYO—The mix of modern and traditional lifestyles in Japan is one of the most remarkable facets in the Japan experience—facets that incorporate some of the most sophisticated facilities and amenities in the world today with a lifestyle that is more than a thousand years old…and remains emotionally, intellectually and spiritually fulfilling to an amazing degree. Furthermore, all of the inns in the network— altogether numbering over 6,000 ordinary inns and over 400 luxury inns—were located specific distances apart on all of the major roads in the country, at “post stations” which in effect were small villages or towns…most of them built around the newly constructed inns to provide a variety of other services for travelers. This extraordinary phenomenon began in 1635 when the recently established Tokugawa Shogunate government in Edo [Tokyo] decreed that some 250 of the clan lords, whose fiefs were spread around the country, would spend every other year in Edo in attendance at the Shogun’s Court. 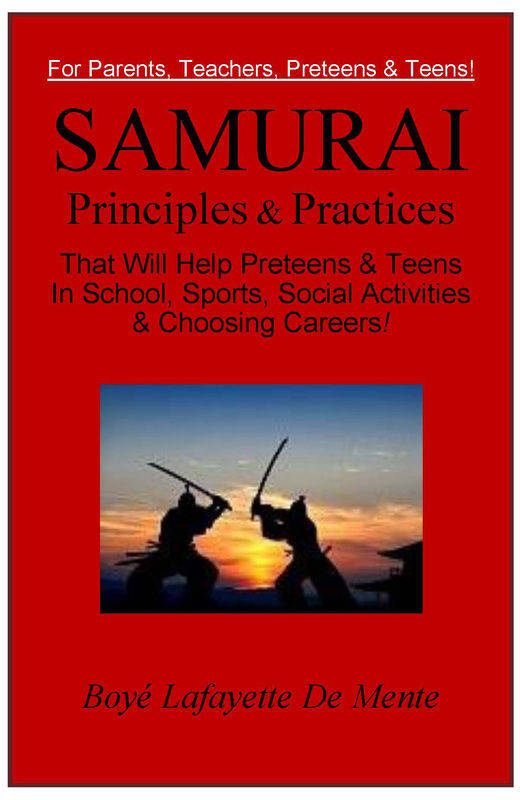 This security measure required that the clan lords maintain residences in Edo; that they keep their wives and children remain in Edo at all times; and that on their semiannual treks to Edo they would be accompanied by a designated number of samurai warriors and attendants, based on the size and wealth of their domains. These extraordinary troops of lords, clan staff, samurai warriors and personal attendants were known as Daimyo Gyoretsu (die-m’yoh g’yoh-rate-sue), or “Processions of the Lords. The dates of their travel to and from Edo, the routes they took and when and where they stopped overnight were all fixed by the Shogunate. 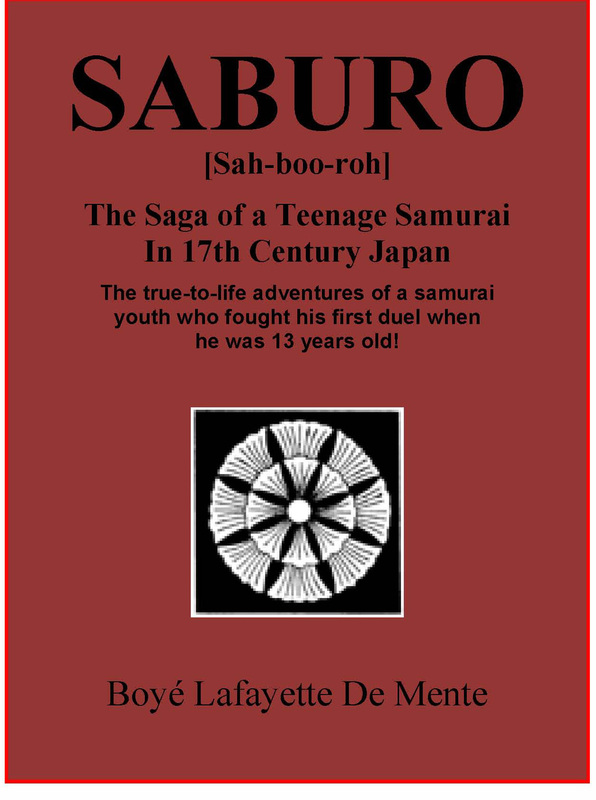 This shogunate mandated system continued for some 240 years [until the1860s], and was a primary factor in the political, social and economic life of the Japanese for all those generations! Keeping the inns supplied with staff, food, drink and other items to accommodate the lords and their entourages—plus the hundreds of thousands of other regular travelers [businesspeople, salesmen, sumo wrestlers, entertainers and gamblers] who quickly took advantage of the network of inns, and keeping the inns and post stations in repair, was second only to agricultural in the Japanese economy. On just the Tokaido (toe-kie-doh), or “Eastern Sea Road, between Kyoto and Edo, there were 111 honjin (hoan-jeen), or luxury inns for the lords and other high-ranking guests, 68 waki-honjin (wah-kee-hoan-jeen), or semi-luxury inns for the next level of travelers, and 2,905 hatago (hah-tah-go) inns for ordinary travelers. No one can say they have fully experienced Japan until they have spent several days and nights in a traditionally styled Japanese ryokan (rio-kahn), or inn—especially one in an area that is so scenic it is spellbinding. This is the personal memoir of author Boyé Lafayette De Mente, the 4th of ten children born to poor parents in an isolated valley in the Ozark Hills of southeast Missouri, and raised during the Great Depression of the 1930s. 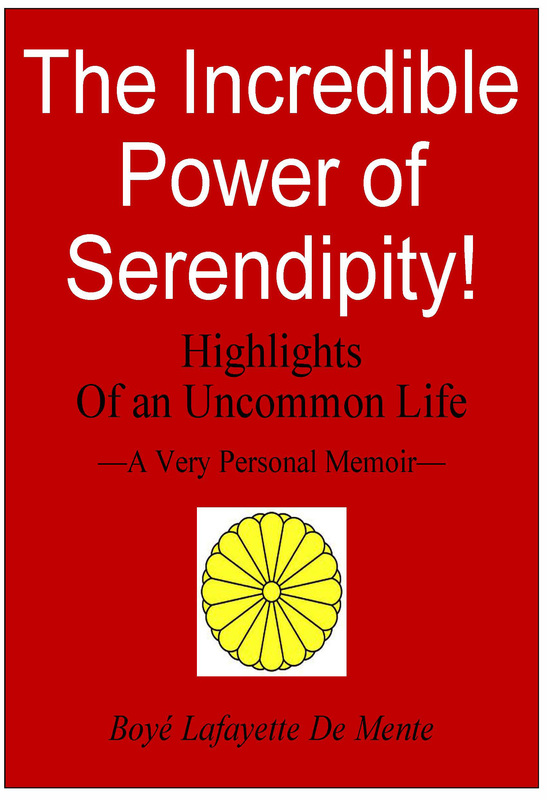 He went on to have a remarkable life which he attributes to the incredible power of serendipity. As editor of The IMPORTER magazine in Tokyo in the late 1950s and early 1960s and as the author of numerous pioneer books on the mindset and business practices of the Chinese, Japanese and South Koreans he made major contributions to the initial rise of Japan, South Korea, Taiwan, Hong Kong and China as economic superpowers. He played a leading role in helping to launch the career of Thunderbird School of Global Management alumnae brother Merle Hinrichs who became the largest trade magazine publisher in Asia, a major financial donor to Thunderbird and member of the board of directors. De Mente’s encounters and relationships with such extraordinary individuals as Admiral Chester W. Nimitz, America’s ranking naval officer during World War II; Akio Morita, co-founder and leading light of what was to become the Sony empire; Toshio Karita, former protocol officer for the Imperial Family of Japan; and Daisetzu Suzuki, Japan’s leading Zen master, plus many more, were experiences he could not have even dreamed about before they happened. His story is an example of the potential of ordinary individuals to achieve significant things when life presents opportunities and they follow up on them. When the traditional Japanese way of doing business began to fail in the late 1980s, putting the brakes on the economic juggernaut that had made the country the second largest economy in the world in just 20 years following the end of World War II, Japanese businesspeople began to adopt selected Western practices. This process was speeded up in the 1990s when competition from South Korea, Taiwan and China became an even greater threat, resulting in a hybrid business system that continues to evolve today. This book explains the rise and fall of Japan as the second largest economy in the world, describes the present-day still evolving system, including steps Japan’s business world is taking to make sure it still has a major role to play in the world economy. While most of the new changes are taking place below the radar of the world at large they are harbingers of what the global economy is becoming and what other companies and countries must do to stay in the game. 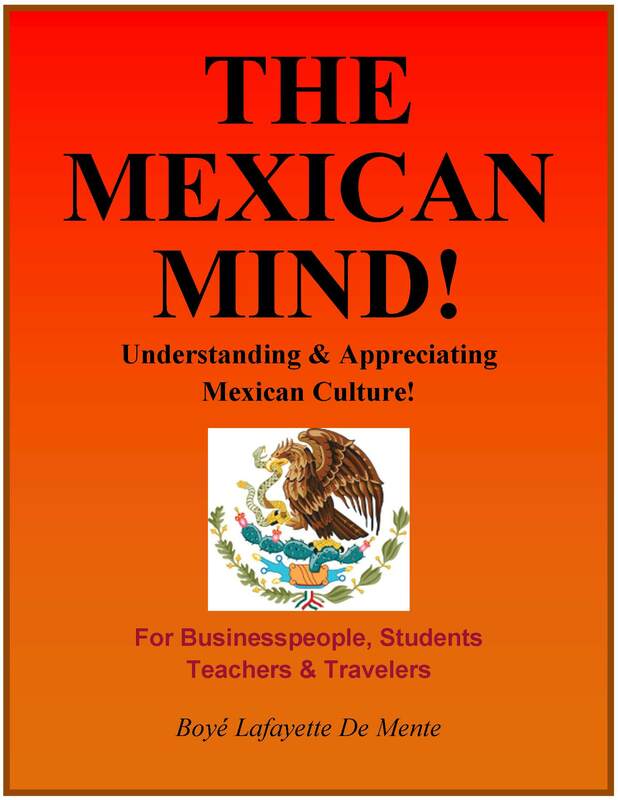 The book is available from Amazon.com in both digital [$4.95] and printed [$14.95] editions. Most Westerners who visit Japan for no more than three or four days are forever changed by the experience because of the extraordinary sensual and visual attractions and because of the unique Japanese behavior and lifestyle. 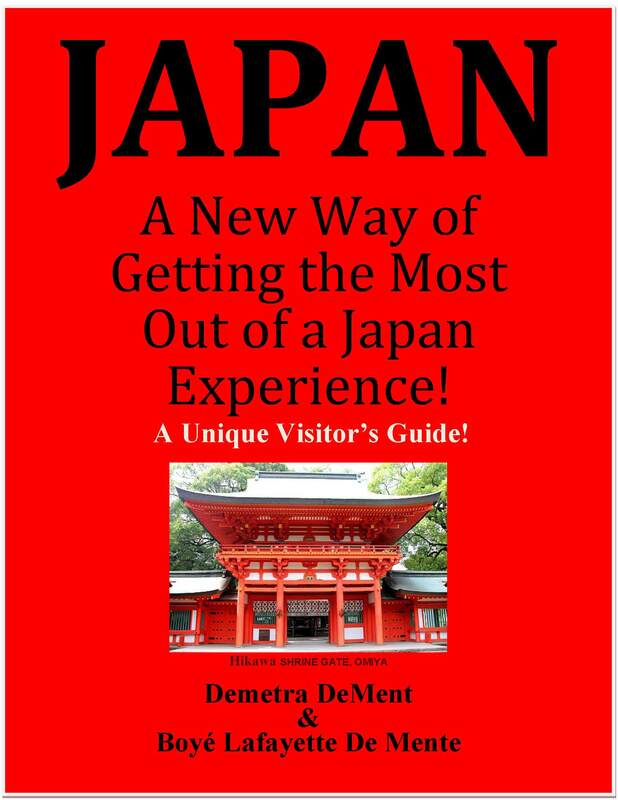 This book identifies and describes the primary factors that make Japan such a fascinating and seductive place, including the amazing number and variety of venues that are designed specifically to pleasure the body, mind and spirit. Not surprising to old Asia hands, the children, the girls and the young women are major contributors to the appeal of Japan….a factor I have addressed in WHY ORIENTAL GIRLS ATTRACT WESTERN MEN! 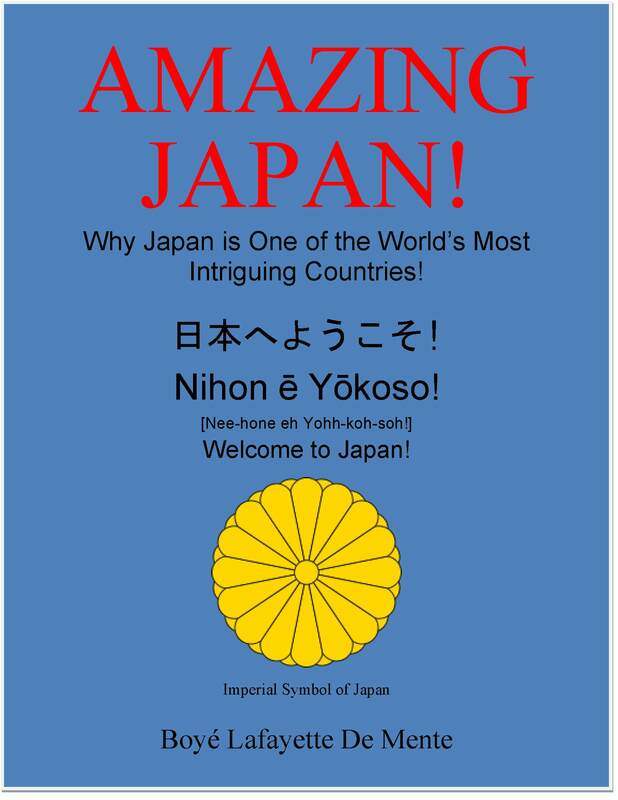 There are so many aspects of Japan that never fail to intrigue foreigners that they cannot all be adequately described….they have to be experienced! Merging of Man and Machine Takes Giant Step Forward! TOKYO—Science fiction is rapidly becoming reality—an incredible phenomenon that is both fascinating and frightening. I have commented before on the remarkable advances Japanese robot scientists have made in “humanizing” their creations. But their latest step in robotics goes well beyond that point. Japanese scientists have now created a robot that can read the mind of a monkey that is 10,000 kilometers away on a different continent! That’s right—a monkey…some 7,000 miles from Japan! In early 2008 the Advanced Telecommunications Research Institute International [ATR] in Kyoto, Japan joined with scientists at Duke University in the U.S. in connecting the brain of a monkey with a humanoid robot in the Japanese laboratory. The robot “read the mind” of the monkey and duplicated the monkey’s movements while it was still thinking about moving! That’s right! There was no time lag in the movements of the robot. It followed the brain waves of the monkey and began each movement at precisely the same time. When the monkey was told to move and thought about it before starting to move the robot performed the movement first! ATR research supervisor Mitsuo Kawato says this new brain-machine interface has already gone beyond monkey-robot and computer experiments, not only making it possible in the near future for people to exercise mind-control over robots but also over a wide variety of other machines, from television sets and computers to household appliances. Kawato explains that when people focus their attention or move their bodies discernible changes take place in their brainwaves and in the flow of blood patterns in their brains. This data can be monitored to reveal the intentions of the individuals and translated into commands that can be recognized by computers, robots and other machines. He adds that using brain-machine interface technologies that will eliminate the need for human beings to physically operate machines could transform the way people live and work—an understatement to say the least. Also in 2008 researchers at Keio University in Tokyo wired a man who had been injured and couldn’t move his arms or legs to a computer. With several hours of training, the man was able to operate programs on the computer by thought-control alone! Similar research is also taking place at several other universities in the U.S., where the process is known as Brain Computer Interface [BCI], with equally remarkable results. Keio’s Junichi Ushiba and his colleagues have also developed a way for people to project their minds into a virtual world “seeing” themselves and experiencing the feelings of flying, mountain-climbing, etc., just by thinking about these actions. Ushiba says that by extracting information from higher order brain activity it is possible to literally read a person’s mind—to actually see what they are thinking about. This amazing breakthrough obviously relates to the holographic programs featured on Star Trek, where members of the crew of the star ship Enterprise can enter the programs and interact with the characters in them. In the United States, high-tech company Linden Lab is a leader in creating virtual worlds that on the order of the Enterprise’s holodeck programs. Based in San Francisco, Linden Lab is the creator of Second Life and the virtual world platform Second Life Grid, technology used in creating virtual worlds. Second Life allows a person to experience life in a virtual world. The opportunities offered by this technology are simply mindboggling—and I predict that sexual fantasies will soon replace violence and other action programs as the most popular simulations.